Bow Wow Buddies Feature Story: Zeke! 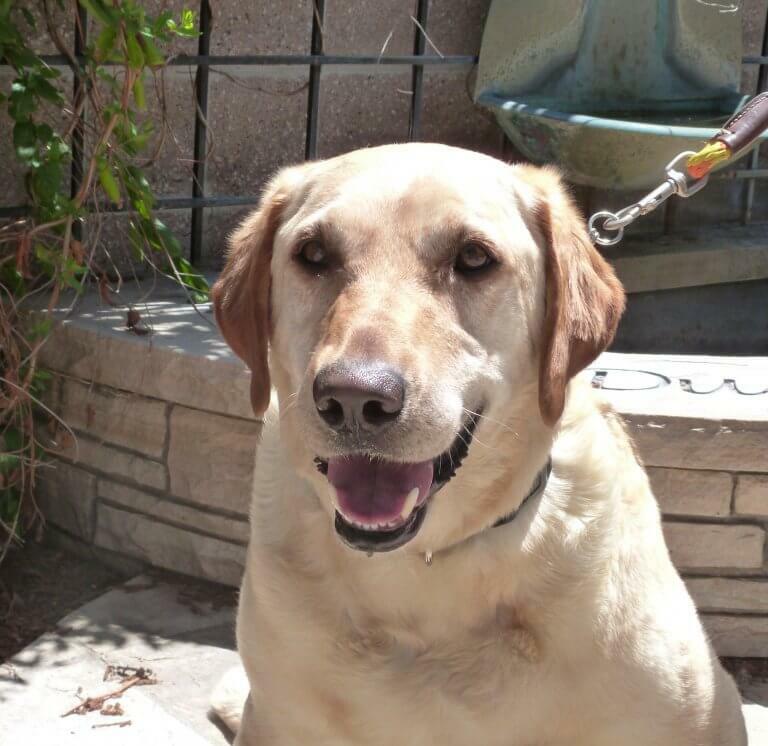 Today, the Bow Wow Buddies Foundation would like to introduce you to Zeke, a 5-year-old Labrador Retriever from Golden, CO.
Zeke was found wandering the streets of Golden, CO by the folks at Safe Harbor Lab Rescue. Being the small lab rescue and adoption center they are, Safe Harbor Lab Rescue knew that it was imperative they help get Zeke back in shape and into a loving home as soon as possible. Unfortunately, it was clear that he had been neglected and would need a lot of expensive medical procedures, including a rather costly ACL repair surgery, in order to get him back in adoptable condition. After some consideration, the folks at Safe Harbor Lab Rescue knew what they had to do. They reached out to The Bow Wow Buddies Foundation for help – and boy were we happy to deliver! Through a grant from The Bow Wow Buddies Foundation, Zeke was able to get the medical attention and costly surgery that he so desperately needed. 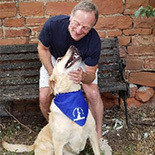 He was cared for by the loving staff at Colorado Canine Orthopedics & Rehab at the Veterinary Specialty Center of Southern Colorado, where he spent time healing. Today, Zeke is back to his old self and has found his fur-ever family! He plans to accompany his dad, Hank, on many road trips around the United States in the future. Each year, many pets are denied access to urgent medical care, simply because their parents, or in this case, their rescuers, cannot afford the climbing costs of emergency veterinary treatment out of pocket. The Bow Wow Buddies Foundation is happy to assist dogs and their families in their time of need. With help from donations, we’re able to award grants up to $2,500 for necessary medical treatments for dogs in need across North America. Lend a paw and donate today to help a dog like Zeke get a second chance!